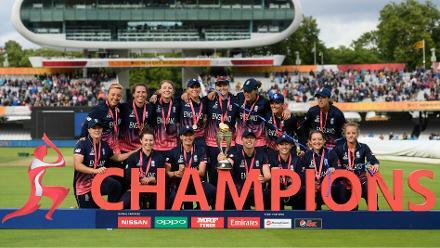 England’s preparations for The ICC Women’s World Cup 2017 concluded in ideal fashion as it defeated New Zealand by seven wickets in Derby. Tammy Beaumont led the chase of 132 with an unbeaten half-century, while Natalie Sciver (38) and wicket-keeper Lauren Winfield (27) were also among the runs at the County Ground in Derbyshire – where England plays its first match against India on Saturday. Winfield retired out after the 10-over mark, though there was a wicket each for New Zealand’s Lea Tahuhu and Leigh Kasperek while Sophie Devine bowled tightly in her four overs, though it wasn’t enough to prevent an England victory. Earlier in the day, Laura Marsh starred with the ball as the right-armer took three for seven from just four overs, as the White Ferns team was bowled out for 130 inside 40 overs. 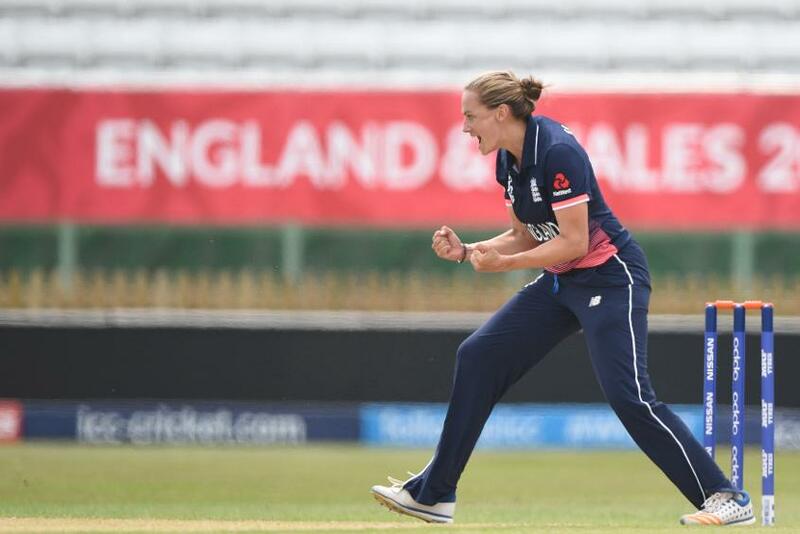 Anya Shrubsole, who took three for 27 in the first warm-up against Sri Lanka, starred again by removing both openers, Suzie Bates and Rachel Priest, while Katey Martin top-scored for the 2000 WWC winner with 36. 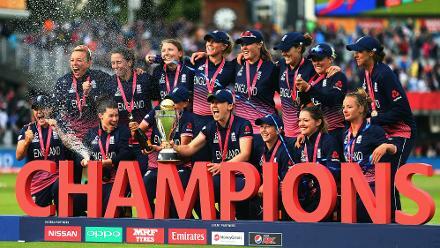 Jenny Gunn and Alex Hartley also took two wickets apiece as England shared its wickets around. 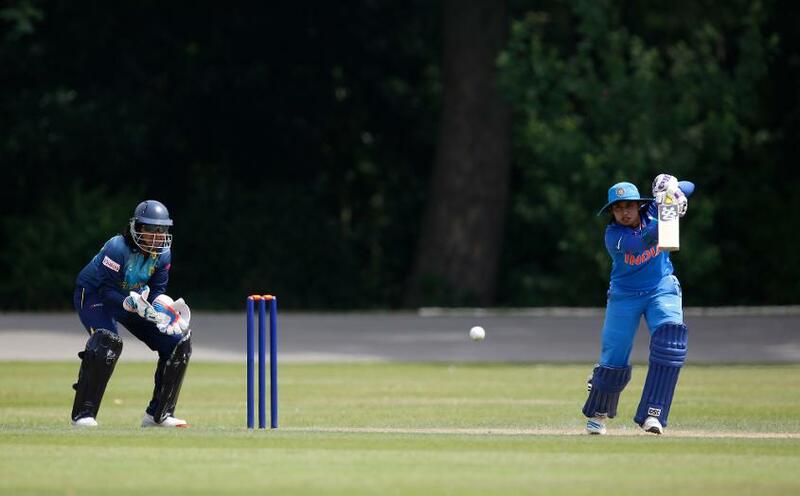 India also heads into its ICC Women’s World Cup campaign with a win behind it after defeating Sri Lanka at Chesterfield. Captain Mithali Raj led from the front with the bat, as she accumulated 85 from just 89 balls in an innings that included 11 fours. Poonam Raut struck fine form with eight fours and two sixes in her 69, while fellow opener Smriti Mandhana made 44 in India’s 275 for eight. 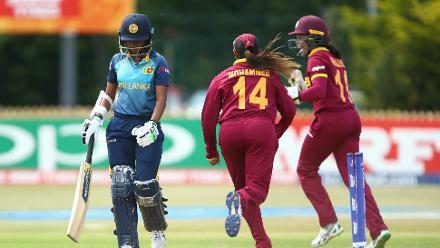 Sri Lanka’s chase started in solid fashion, thanks to the middle order, as Dilani Manodara top scored with 49 and wicket-keeper Prasadani Weerakkodi made 39. However, Rajeshwari Gayakwad returned to wrap up the innings in style with four wickets to her name, as India completed its victory by 109 runs, bowling out Sri Lanka for 166.